These kits come with gaskets, main bearings, rod bearings, rod bushings, cam bearings, pistons, rings, and piston liners if required. 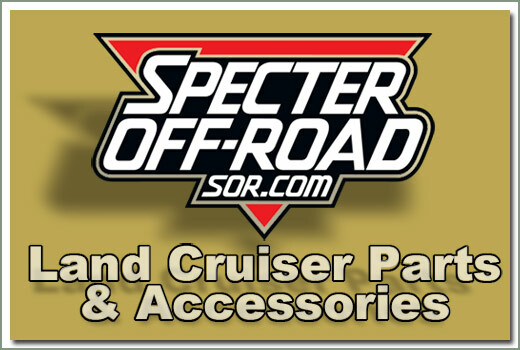 For specific contents of each kit, please call Specter's Sales Staff. Fits 2/74-4/80 B diesel engine - Comes with STD piston & rings, STD main bearings, STD rod bearings, rod bushings, cam bearings, piston liners, and gaskets. Order diesel engine assembly lube kit 200-25 separately. Please call for oversize component price and availability. Fits 2/74-4/80 B diesel engine - Comes with STD piston & rings, STD main bearings, STD rod bearings, S/F rod bushings, cam bearings, S/F piston liners, and gaskets. Order diesel engine assembly lube kit 200-25 separately. Please call for oversize component price and availability. Fits 2/74-4/80 B diesel engine - Comes with STD pistons & rings, 10 over (.25) main bearings, 10 over (.25) rod bearings, rod bushings, cam bearings, piston liners, and gaskets. Order diesel engine assembly lube kit 200-25 separately. Please call for oversize component price and availability. Fits 2/79-7/80 2B diesel engine - Comes with STD pistons & rings, STD main bearings, STD rod bearings, rod bushings, cam bearings, pistons, piston liners, and gaskets. Order diesel engine assembly lube 200-25 separately. Please call for oversize component price and availability. Fits 2/79-8/80 2B diesel engine - Comes with STD pistons & rings, 10 over (.25) main bearings, 10 over (.25) rod bearings, rod bushings, cam bearings, piston liners, and gaskets. Order diesel engine assembly lube Kit 200-25 separately. Please call for oversize component price and availability. Fits 2/79-8/80 2B diesel engine - Comes with STD pistons & rings, 20 over (.50) main bearings, 20 over (.50) rod bearings, rod bushings, cam bearings, piston liners, and gaskets. Order diesel engine assembly lube Kit 200-25 separately. Please call for oversize component price and availability. Fits 7/80-10/82 2B diesel engine - Comes with STD pistons & rings, STD main bearings, STD rod bearings, rod bushings, cam bearings, piston liners, and gaskets. Order diesel engine assembly lube Kit 200-25 separately. Please call for oversize component price and availability. Fits 7/80-10/82 2B diesel engine - Comes with STD pistons & rings, STD main bearings, STD Simi Finished rod bearings , rod bushings, cam bearings, piston liners, and gaskets. Order diesel engine assembly lube Kit 200-25 separately. Please call for oversize component price and availability. Fits 8/80-9/84 3B diesel engine - Comes with STD pistons & rings, STD main bearings, STD rod bearings, rod bushings, cam bearings, piston liners, and gaskets. Order diesel engine assembly lube kit 200-25 separately. Please call for oversize component price and availability. Fits 8/80-9/84 3B diesel engine - Comes with STD pistons & rings, 10 over (.25) main bearings, 10 over (.25) rod bearings, rod bushings, cam bearings, piston liners, and gaskets. Order diesel engine assembly lube kit 200-25 separately. Fits 9/84-8/88 3B diesel engine - Comes with STD pistons & rings, STD main bearings, STD rod bearings, rod bushings, cam bearings, piston liners, and gaskets. Order diesel engine assembly lube kit 200-25 separately. Please call for oversize component price and availability. Fits 8/88-1/90 3BII diesel engine - Comes with STD pistons & ring set, STD main bearing set, STD rod bearing set, thrust bearing set, rod bushing set, cam bearing set, head bolt set, and gaskets. Order diesel engine assembly lube kit 200-25 separately. Please call for oversize component price and availability. 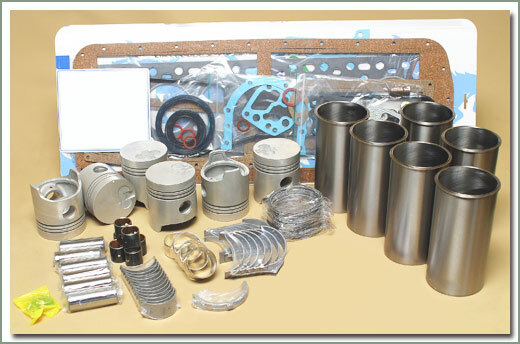 Engine assembly lube kits contain all the lubricants necessary to assemble either a diesel or gasoline engine. Comes with motor assembly grease, head bolt grease, cam and lifter lube, o-ring & oil seal rubber grease, plastigage for oil clearance measurement and cylinder bore wipes - GROUND SHIPPING ONLY! Designed to be a universal gasketing solution for engines and gearboxes. 3 oz Tube. High resistance to temperature, oils ,fuel and coolants. Oxygen Sensor Safe - Non Corrosive - Universal application Threebond high temp silicone liquid gasket products have been tested in extreme conditions on racetracks worldwide with proven results. 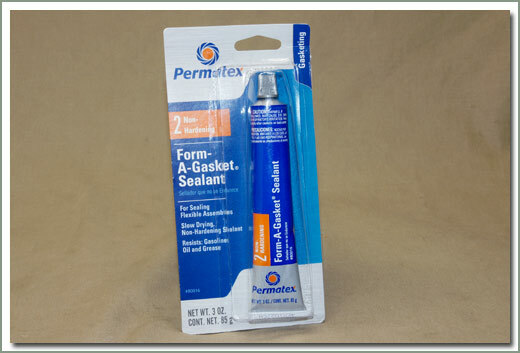 Liquid gasket sealants create a more efficient seal between two surfaces due to the additional factor of a bond in conjunction with the seal and high chemical resistance. 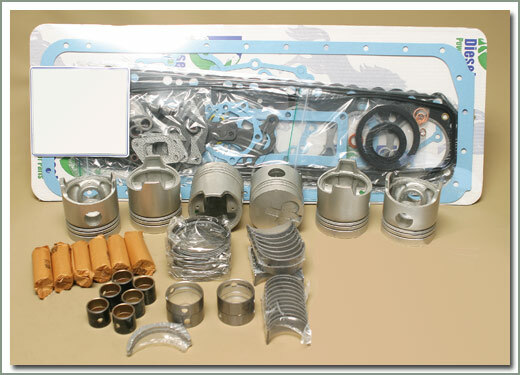 Fits 6/73-9/77 H diesel engine - Comes with STD pistons & rings, STD main bearings, STD rod bearings, thrust bearings, rod bushings, cam bearings, piston liners, and gaskets. Order diesel engine assembly lube kit 200-25 separately. Please call for other size component price and availability. 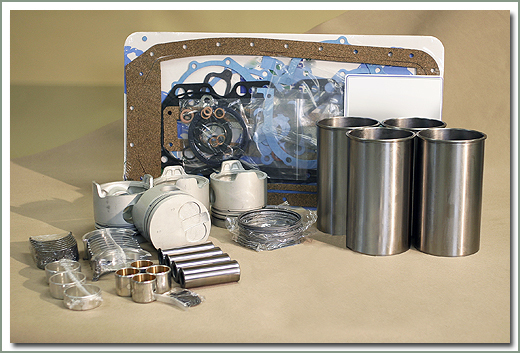 Fits 9/77-7/80 H diesel engine - Comes with STD pistons & rings, STD main bearings, STD rod bearings, rod bushings, thrust bearings, cam bearings, piston liners, and gaskets. Order diesel engine assembly lube kit 200-25 separately. Please call for oversize component price and availability. Fits 8/80-10/84 2H diesel engine - Comes with STD pistons & rings, STD main bearings, STD rod bearings, thrust bearings, rod bushings, cam bearings, piston liners, and gaskets. 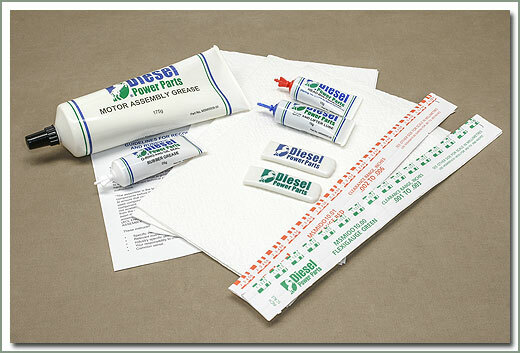 Order diesel engine assembly lube 200-25 Kit separately. Please call for oversize component price and availability. Fits 11/84-1/90 2H diesel engine - DIESEL - Comes with STD pistons & rings, STD main bearings, STD rod bearings, thrust bearings, rod bushings, cam bearings, and gaskets - Does NOT come with piston liners. Order diesel engine assembly lube kit 200-25 separately. Please call for oversize component price and availability. Fits 11/84-1/90 12HT diesel engine - Comes with STD pistons & rings, STD main bearings, STD rod bearings, thrust bearings, rod bushings, cam bearings, and gaskets. Does NOT come with piston liners. Order diesel engine assembly lube kit 200-25 separately. Please call for oversize component price and availability. Fits 11/84-1/90 12HT diesel engine - Comes with 20 over (.50) pistons & rings, STD main bearings, STD rod bearings, thrust bearings, rod bushings, cam bearings, and gaskets. Does NOT come with piston liners. Order diesel engine assembly lube kit 200-25 separately. Please call for oversize component price and availability. Fits 1/90-1/98 1HDT DIESEL - Comes with STD pistons & rings, STD main bearings, STD rod bearings, thrust bearings, rod bushings, cam bearings, and gaskets. Does NOT come with piston liners. Order Diesel Engine Assembly Lube Kit 200-25 & RTV Silicone Liquid Gasket 200-56 separately. Please call for oversize component price and availability. Fits 1/90-1/98 1HZ DIESEL - Comes with STD pistons & rings, STD main bearings, STD rod bearings, thrust bearings, rod bushings, cam bearings, and gaskets. Does NOT come with piston liners. 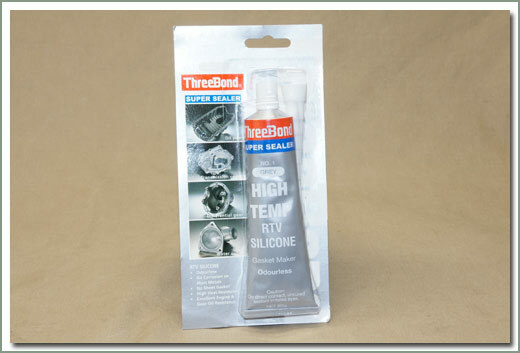 Order Diesel Engine Assembly Lube Kit 200-25 & RTV Silicone Liquid Gasket 200-56 separately. Please call for oversize component price and availability.